Some startups are lucky enough to get funding right away, but there are many who go through meeting after meeting trying to find the answer to the golden question. What do investors want? Well, MillionaireMatch can help with that. 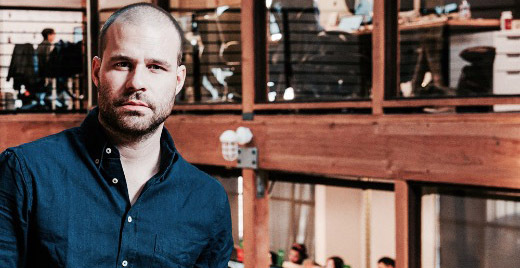 We got the scoop from serial entrepreneur Bastian Lehmann, CEO of Postmates. Postmates allows consumers to order food and goods that may not be conveniently located to them and have their craving within minutes. In October 2016, Postmates closed with $140 million in funding and a $600 million valuation. The idea for Postmates first came in 2006. But like many entrepreneurs, Lehmann had attempted other businesses. Lehmann, who was a college drop-out with a dream to be a movie director, launched his first business called Seven A Day. Lehmann was unable to raise money. So, with the help of his parents, he bootstrapped the company for a year. It eventually failed. Lehmann met his co-founders Sam, in London, and Sean in the U.S. They soon created a startup called Curated.by. Curated.by later evolved into Postmates. Once again, Lehmann attempted to get funding. Lehmann and his co-founders went to Naval Ravikant, who is the CEO and co-founder of AngelList. He wasn’t impressed with their idea, but instead he offered them the opportunity to be venture hackers for his new company. They turned the offer down. But, after showing him a prototype of how the service would work, they walked out of the meeting with their first seed round of $250k. “Postmates was one of those ideas that just kept haunting me,” Lehmann said. The business model for Postmates was a model that VCs were not familiar with, which made it hard for Lehmann to raise the money needed to get it off the ground. “VCs have this crazy herd mentality. They like to think that they want to be the first to discover a company,” he explained. “They love to compare it to other companies. That’s why they love to invest in the number two or number three in the market. At the time they do, it’s already the most obvious thing in the market,” he continued. There are those investors who need to see other successful companies with a similar model. There are also those VCs that just believe in the company once they see the pitch. “If they are convinced of something, they don’t need a lot of external singles to justify their opinions,” he said. There are a few ways to prepare. Being able to answer key questions that more than likely will come up is one of them. “In the beginning, you have to answer questions around who wants to use this and how big is the total addressable market,” Lehmann said. You should also be prepared to answer, “How big is the market? How high will my return be,” said Lehmann. It didn’t get any easier for Lehmann and his team, not even after making over 1.4 million deliveries a month. “We weren’t prepared to not be so well received for Series A,” Lehmann said. They ran out of money, and had to go back for a bridge round of funding with current previous investors. It’s not an uncommon thing, but Lehmann said you shouldn’t be proud of it. When you get to this level of funding after being in business for a few years, there are another set of questions investors want you to answer. According to Lehmann, you should know how does your company stick out? Are you losing money? If so, why? Are you going to make more money? Lehmann is now putting his focus on more premium and subscription based services for Postmates. “Our vision is to provide deliveries on a large scale in major metro areas, cheaper than you would pay from a big retailer,” he said. If you haven’t already used Postmates, do yourself a favor. Head over to www.postmates.com.